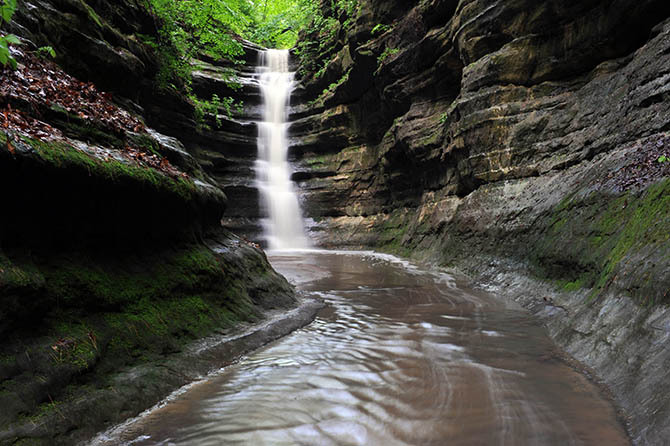 One of the "7 Wonders of Illinois"
The possibilities for your dream wedding are endless at Starved Rock Lodge. Whether you are looking for a destination wedding, a grand gala or an intimate affair, we have the ideal option to make your dream wedding a reality! 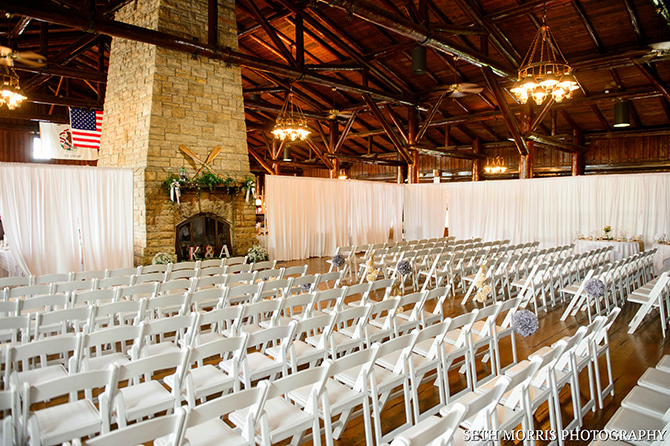 Starved Rock will not only provide an ideal place for entertaining your guests, but a backdrop for the photographs you'll cherish all your life. You won't be able to picture your wedding anywhere else! 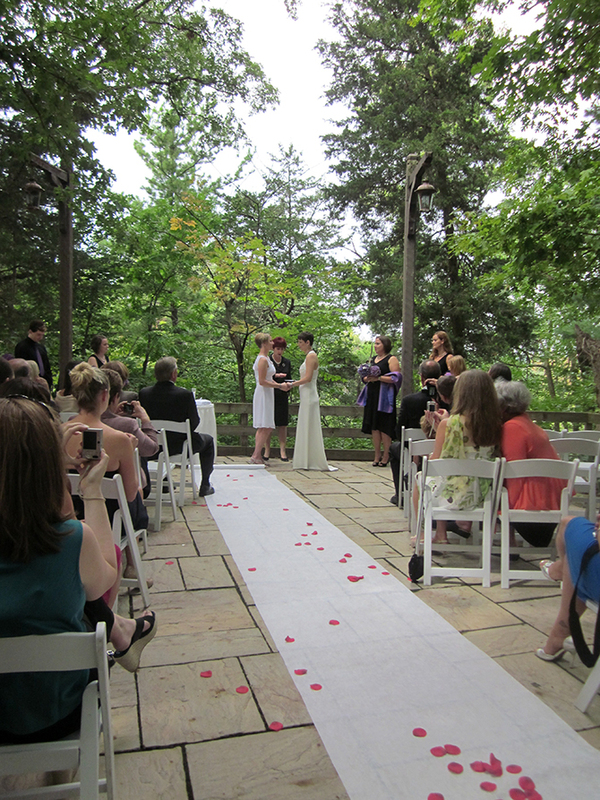 If you'd prefer an outdoor wedding ceremony, Starved Rock Lodge offers the awe-inspiring Sunrise Shelter. 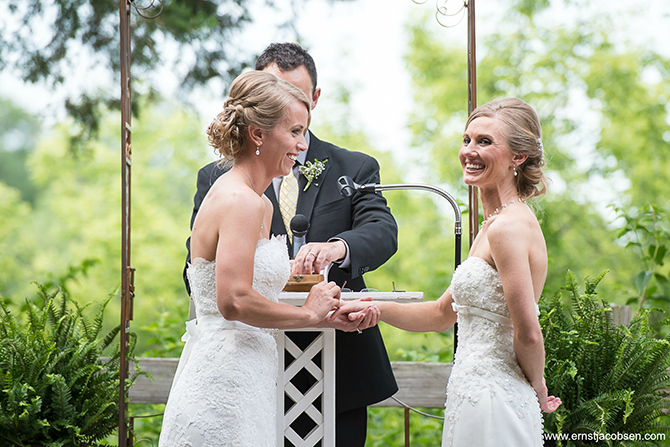 This outdoor ceremony site can accommodate up to 200 guests. The Sunrise Shelter is located just to the east of the Lodge. To reach the Sunrise Shelter, your guests will cross the footbridge over Fox Canyon and stroll along a winding path through the woods. When they reach the shelter, an outstanding view of the top of Starved Rock will unfold before them. If you're looking for a destination wedding where the ceremony, dinner and reception take place in one great location, then look no further! 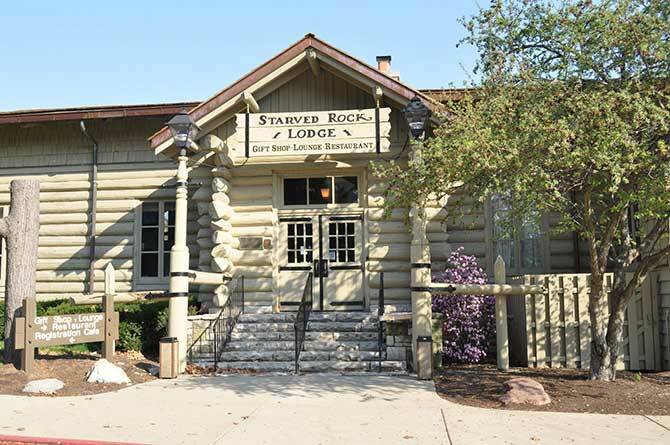 Starved Rock Lodge is unsurpassed in beauty, service and cuisine and is located in one of the most scenic locations in Illinois. Our legendary Great Hall weddings are designed to accommodate up to 200 of your closest family and friends. The Great Hall is located in Starved Rock Lodge, which is situated in one of the "7 Wonders of Illinois," Starved Rock State Park, in Utica, IL. 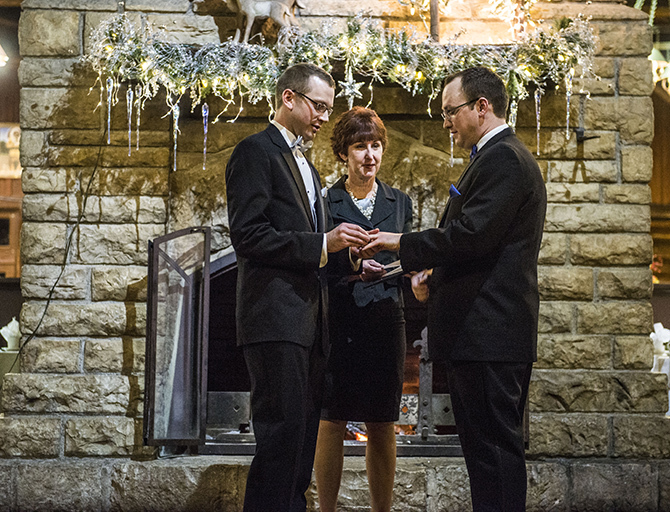 After the vows, enjoy the beginning of a music-filled celebration with cocktails and hors d'oeuvres in the Starved Rock Room, adjacent to the Great Hall. 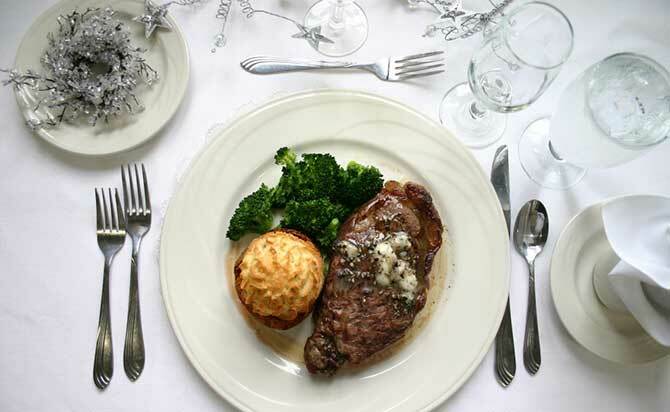 Then it's time for a world-class dining experience in the rustic elegance of the Great Hall. As dinner winds down, it's time for music and dancing in the Starved Rock Room. Trolley Transportation For Your Wedding! 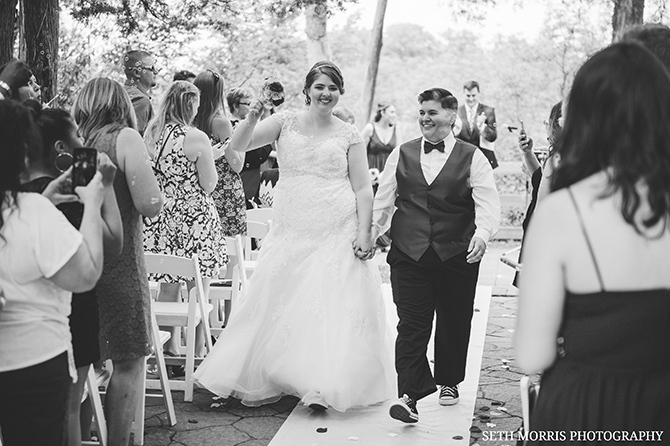 Our Trolleys are the perfect alternative to a standard limo because the entire wedding party can board our trolley at the church and arrive at Starved Rock Lodge together! You don't have to get married at Starved Rock Lodge to rent our Trolley, but if you are getting married here, we can take everyone for a brief ride around beautiful Starved Rock State Park for photos before returning to the Great Hall for an unforgettable reception. 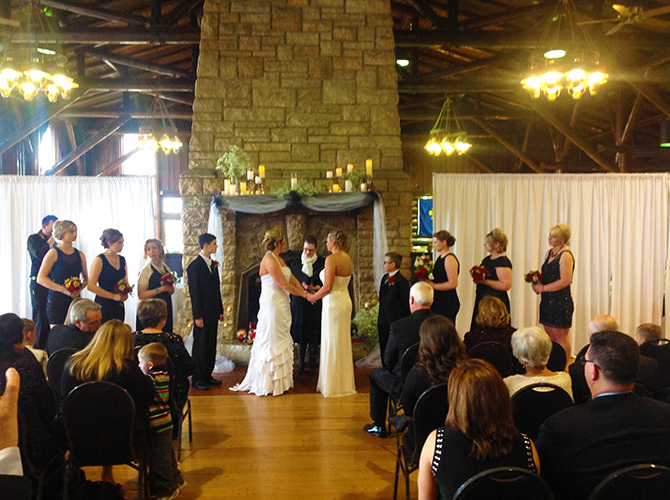 If you choose to celebrate your vows at a venue outside of Starved Rock, consider renting a Starved Rock Trolley to shuttle the wedding party from the ceremony location to your Starved Rock Reception. 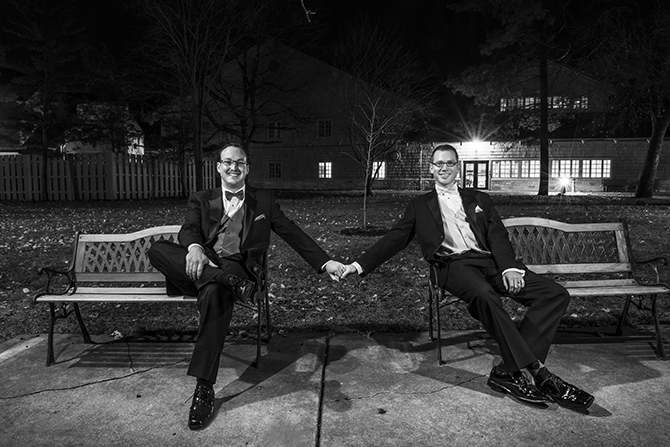 The trolley provides unique transportation and is a great backdrop for fun celebratory photos. 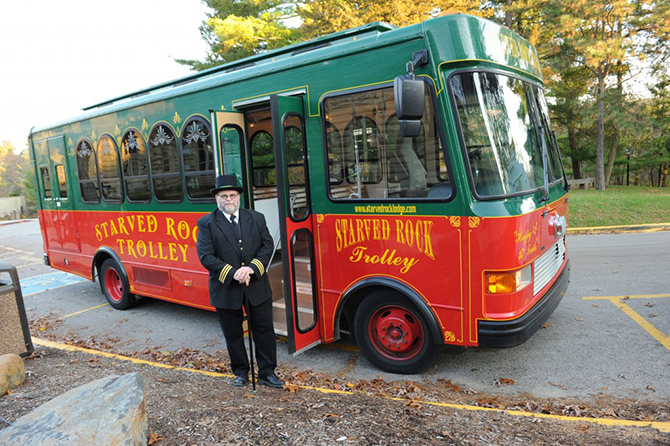 The largest trolley can accommodate up to 32 people and is handicapped accessible. 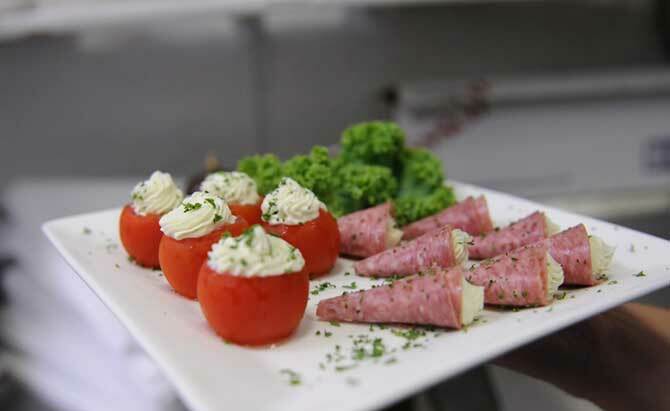 Call 815-220-7388 to reserve one of our Trolleys for your wedding day!